Escape the Room-type games are all the rage, and for good reasons: They’re challenging, fun, often educational, usually require cooperation and teamwork, and are all-around wonderful activities to do with family and friends. This week we review several new entries into this growing segment. We’ve enjoyed them, and know that you will too. 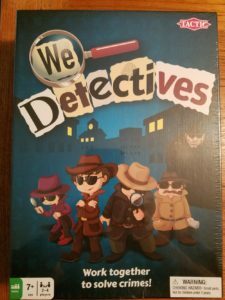 This entry was posted in Reviews and tagged cylinder detective, finders seekers, tactic, yulu on January 19, 2018 by Parents@Play Team.